Autumn Colors Arrive Downtown In Our Small Town: Wow what a mouth full for a post title but after the one yesterday, well what can I say? Autumn/Winter are also a big struggle for me~ I love the color and light of Spring and Summer 🙂 brrrrrrr Alaska??! 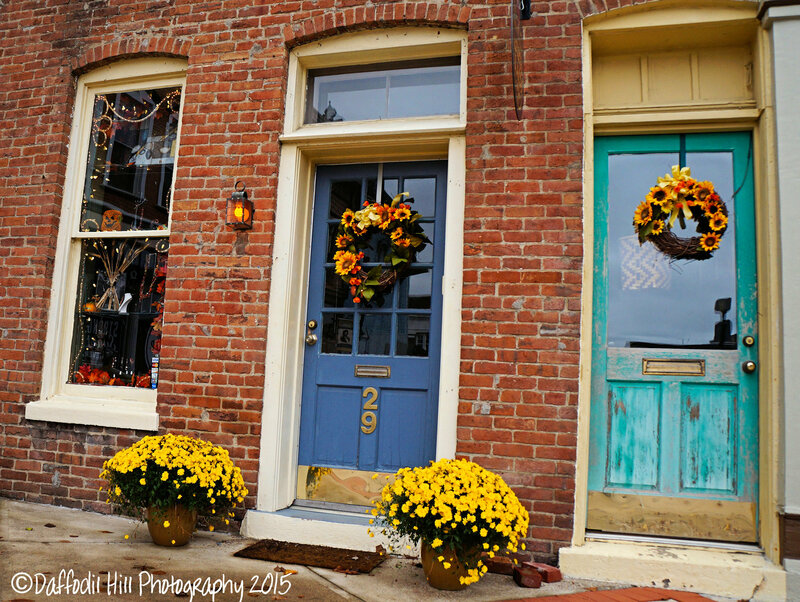 No freezing temps for me, thank you 🙂 …I did like this image- very bright and warm– I particularly liked the turquoise door ~ have a great weekend!